Students with low test scores are usually shut out of New York City’s best public schools. 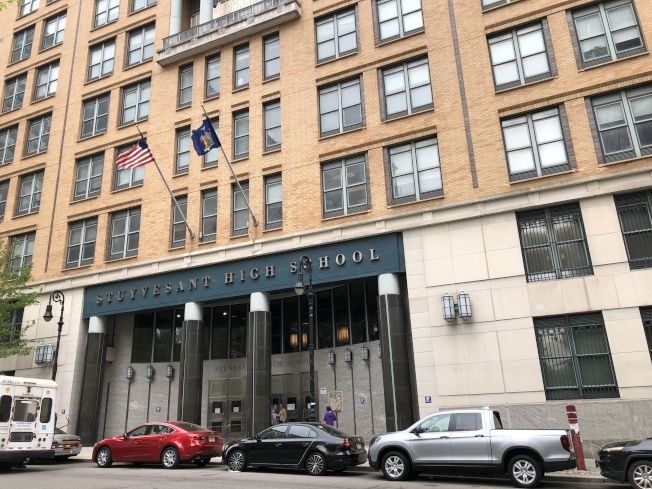 But next year, such students could be offered a quarter of the sixth-grade seats at even the most selective middle schools in Manhattan’s District 3 as part of a desegregation plan being debated in the district, which stretches from the Upper West Side to Harlem. The plan is unusual because it focuses explicitly on low-performing students, and seeks to achieve “academic diversity” across the district’s middle schools. School desegregation efforts around the city have mostly been centered on students who qualify for free or reduced-price school lunches, a widely accepted measure of poverty, which has generally been correlated with race in the city. For instance, six of the seven middle schools taking part this year in a diversity initiative by the city Department of Education set aside between 10 percent and 62 percent of their seats for applicants who qualify for free and reduced-price lunches; one of the schools also considers “a diverse range of learners” in the admissions process. The idea, proponents of the District 3 plan say, is to provide opportunities for more students, including those at the very bottom who are not only poor, but also failing, and may need the most help. And they say that it would prevent the top middle schools from simply siphoning off poor students who earn high test scores and grades, and would instead redistribute both high-performing and low-performing students among more schools. “Within the system we have, it’s the best way I see to move forward because it can help all of the schools and a wider range of students,” said Kristen Berger, a mother of a fifth-grade student who is the chairwoman of the middle school committee for District 3’s Community Education Council, a parent group that advises on admission policy. The focus on low test scores runs counter to the city’s high-stakes testing culture, where admission to everything from gifted-and-talented kindergarten classes to the prestigious specialized high schools is gained by top scores. It has drawn criticism from some white and affluent parents — captured in a viral video — who believe that it is unfair when the top middle schools do not have enough seats for all the qualified students as it is, and say that it could water down instruction and lower the quality of education. Other parents see it as a superficial stab at a complicated problem, while still others say that it does not go far enough to help students in struggling schools. Even parents who support the broader goal of desegregation have raised concerns about placing students who score a 1 or 2 — the bottom half on a scale of 1 to 4 — into rigorous middle schools without adequate preparation and support. Decades of educational research have shown that mixed-ability classrooms can raise achievement especially for low-performing students, providing the impetus for many schools to move away from tracking, though somestudies have also suggested that it can adversely affect high-achieving students. Amy Stuart Wells, a professor at Teachers College at Columbia University, said that all students can achieve at a higher level if teachers are well-trained and use an approach targeted to each child’s level of achievement, among other things. “When schools think of ‘academic diversity’ as an academic reform that includes these components, they will be better preparing all students for a global society,” she said. At the high-school level, the city has been pushing for greater academic diversity, almost doubling the number of what are known as Educational Option programs, which aim to replicate an academic bell curve, with 16 percent of the offers going to applicants who score the highest on state English tests, 16 percent to those who score the lowest, and the remaining 68 percent to those in between. Next year, of the city’s more than 400 high schools, 264 will use the Educational Option model, up from 142 schools this year. Still, many of these so-called Ed-Opt schools have struggled to attract high-performing students, who often prefer the selective schools, and ended up with mostly lower-performing students. In District 3, scars remain from a battle over redrawing school zones two years ago to increase diversity and reduce crowding at a group of elementary schools. At the time, district leaders also considered a plan to integrate middle schools by requiring them to give priority to students who qualify for free and reduced-price lunches for 30 percent of their sixth-grade seats. The most sought-after middle schools, which have a screening process to admit students, have long been criticized for being mostly white and Asian, and more affluent, than the district as a whole. But that plan foundered after principals voiced concerns that it would not do anything for low-performing schools, many of which already had far higher percentages of poor students. Many parents also saw it as increasing competition for the remaining seats at the top schools. But that plan raised questions about whether it was legal to rely solely on scores on state standardized tests, which many educators and parents say do not accurately reflect students’ abilities. State education law prohibits officials from placing students “based solely or primarily” on their performance on state English and math tests; some city schools can and do use other tests to admit students. State education officials declined to comment on the issue. So the district has offered alternatives that would still focus on helping low-performing students but also consider other factors. One plan would use low test scores in combination with low grades, while another would use low test scores along with the poverty of the students at their elementary schools. And last month, yet another plan emerged that would first screen students by whether they qualify for free or reduced-price lunches, and then give priority to those with low test scores and low grades. 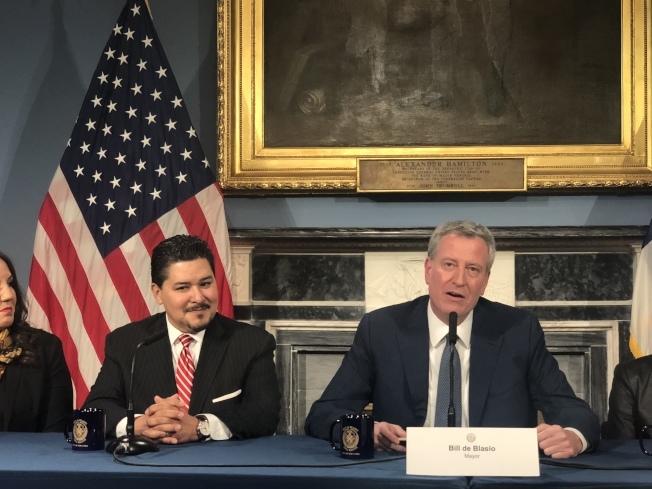 Mayor Bill de Blasio recently unveiled a plan to change the admissions process for the city’s specialized high schools, and the new schools chancellor, Richard A. Carranza, has signaled his support for more desegregation efforts. Ms. Altschul is expected to move ahead with a desegregation plan in the coming weeks. District leaders have said they would work with schools to ensure they get the support they need under whatever plan is adopted. The plan would apply to admissions offers starting in 2019. Ms. Berger, of the community education council, said that she hoped the desegregation plan would lead to more middle school choices for all students. “Eventually, everyone should feel confident in sending their student to any middle school in District 3,” she said.